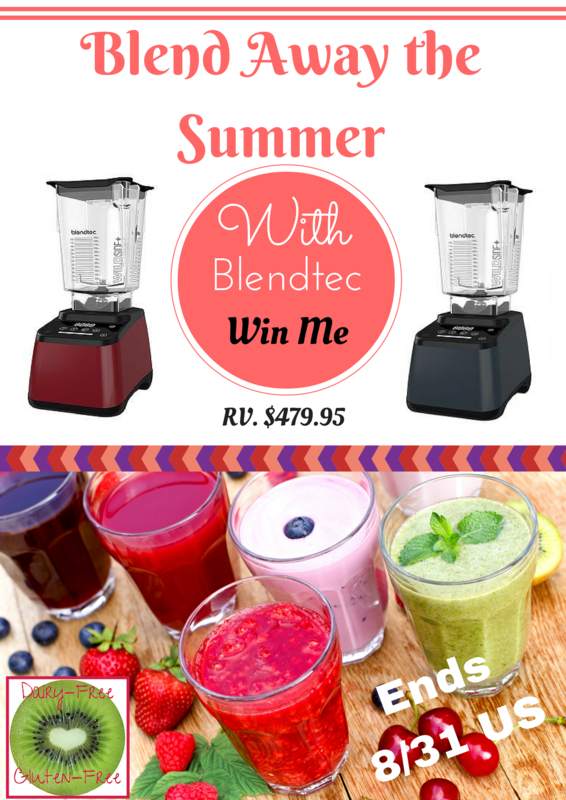 Blend Away the Summer with Blendtec Giveaway! Nourish your body, your brain, and your brood. A great group of bloggers have joined together to bring you this Blend Away the Summer with Blendtec Giveaway! This is a Blogger Sponsored Event, which means the bloggers who have joined in this giveaway have donated money to help pay for this Blendtec Designer 625 Blender. You will see the entries of the bloggers on the Rafflecopter who are participating. One lucky reader will win a Blendtec Designer 625 Blender! And the winner will have the choice of 7 colors to choose from! Why do you need a high-powered blender? To make amazing foods that you just can't make with a regular blender! You can make everything from ice cream to hot soup. Inventor Tom Dickson envisioned the perfect mixer using freshly milled flour from his mill to make wholesome bread in minutes. "When back in the lab, Tom developed an auto-knead feature, enabling the mixer to knead the dough, develop the gluten and turn off automatically when finished. Tom continued to improve the mixer and decided to add a blender with a square jar, rather than the conventional round jar. As Tom expanded his mill and mixer business, new ideas developed. He enhanced the blender and began developing commercial blending machines just as the smoothie era began." You have probably seen the Blendtec videos and heard Blendtec say "We've blended everything from rake handles to golf balls and glow sticks in our test lab - so you can experience years of trouble-free blending." And it is TRUE! 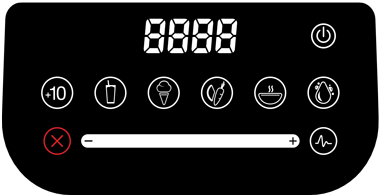 Features include: 3.0 peak horsepower motor Illuminated, capacitive touch interface Preprogrammed cycles: Smoothie, Ice Cream, Whole Juice, Hot Soup 6-speed capacitive touch slider + Pulse Illuminated display indicates remaining blend time Illuminated Touch Controls. An intuitive touch screen with easy-to-see icons makes the Designer 625 more versatile and simple to use. It lights up with a single touch, shuts off automatically, and is completely flat so cleaning is as simple as a quick wipe. Six-Speed Touch Slider + Pulse Simply slide your finger left or right to control the motor speed for customized blending. Use Pulse for an added burst of power at any speed. Pre-programmed Blend Cycles No more guesswork! Four preprogrammed custom cycles enable one-touch blending perfection: Smoothie, Ice Cream, Whole Juice, and Hot Soup. a Rafflecopter giveaway Disclaimer: NO compensation was received for the published material in this post. No purchase required to enter this giveaway and there is a limit of one entrant per household. Void where prohibited. Odds of winning are determined by the number of valid entries received. Winner will be chosen by Random.org and will be emailed via the email address used to enter the contest. New winner(s) will be chosen if original winner(s) has not responded within 48 hours of email notification. Participating bloggers are not responsible for shipment of prize(s). This giveaway is not administered, sponsored, endorsed by, or associated with Facebook, Twitter, Google, Pinterest or other social media outlet. Disclaimer is posted in accordance with the Federal Trade Commission 10 CFR, Part 255 Guides Concerning the Use of Endorsements and Testimonials in Advertising. I love the power it has. Would love to make smoothies for busy mornings without having to pre-chop everything within an inch of it's life! Exactly! I remember—when i just had a regular blender—i'd have to almost completely thaw my frozen berries before making a smoothie. now, I'm throwing in handfuls of rock-solid ice, too, and they blend up like a dream! I know you've been working on getting a high-powered blender for a while...good luck! Make sure you get all the entries you can! I am so excited about this! My cheapy blender was pretty much only used for baby food making- it's time for a grownup one for the parents! Time for an ice-crusher, right? Good luck! It makes ice cream!! That is enough to make me happy, let alone all of the other awesomeness. I've wanted a Blendtec for as long as I can remember. I tried one out in culinary school and couldn't believe the power it had! Good luck to you, Becca! I've been wanting to try one of these for SO long! I'll cross my fingers for you! That's definitely what I make the most! A must for any bsker-! 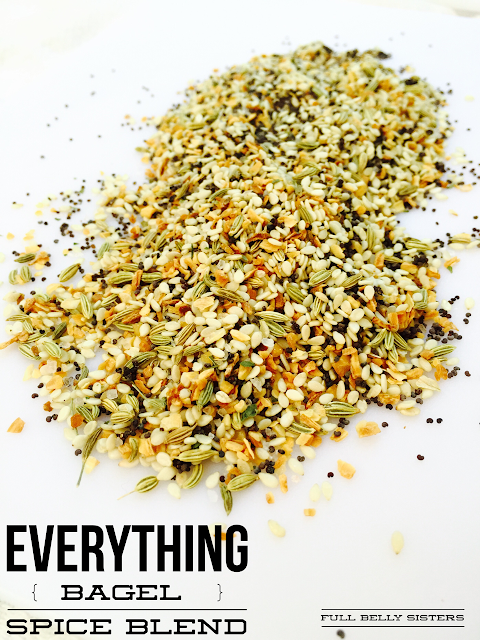 Yes, you can do so many things with this blender, making flours is a great way to use it!